Tasty grape-colored blooms have striking red eyes. 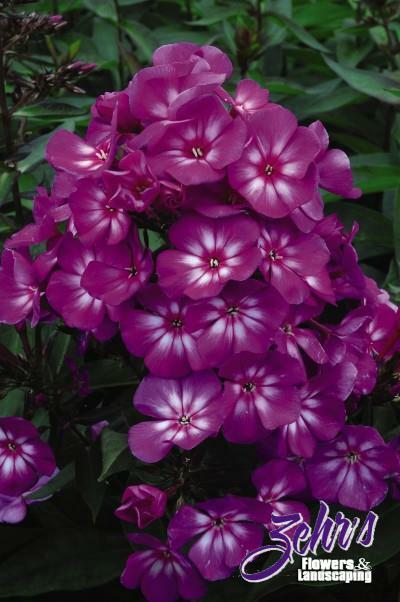 The most mildew resistant phlox to date. Grape Lollipop will bring months of tantalizing color and delicious fragrance to the summer garden. Attracts butterflies and hummingbirds.